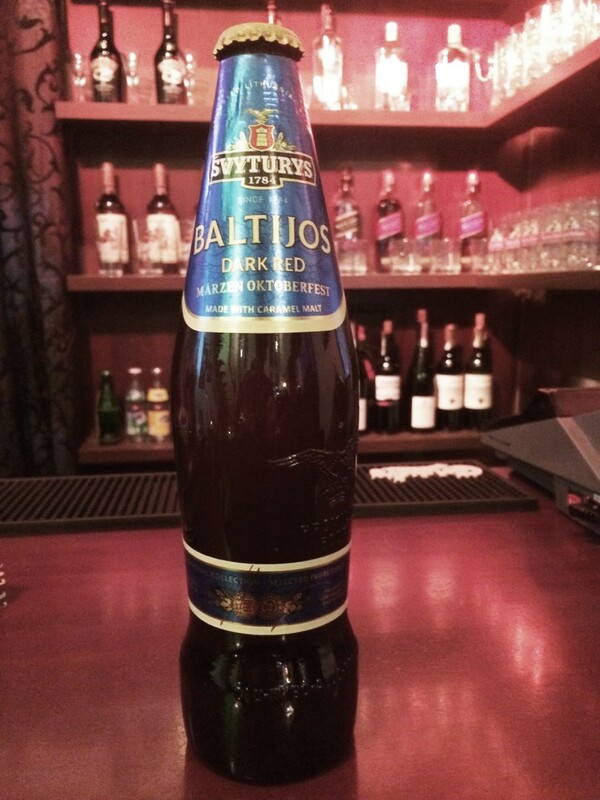 Švyturys Baltijos – is a dark Märzen/ Oktoberfest lager, one of the beers in the traditional Švyturys collection that has been brewed since 1965. Ethnographers believe that the colour and taste of this “March” beer is most similar to the first beer of Švyturys that German merchant Reincke, the founder of the brewery originally offered back in 1784. In its own category, Baltijos beer has won the bronze at the World Beer Cup and was awarded the Grand Golden Medal at the international Siberian Fair. The deep red amber beer has a sweetish, rich, long-lasting taste of caramel. The qualities of the flavour and taste of Švyturys Baltijos are best revealed when served in a special glass, which has to be wide and shaped like a bauble or a tulip with a sturdy stem. The dark Baltijos beer perfectly complements game and dark meat, oil-rich fish, blue and hard cheese, sweet desserts with caramel and chocolate.